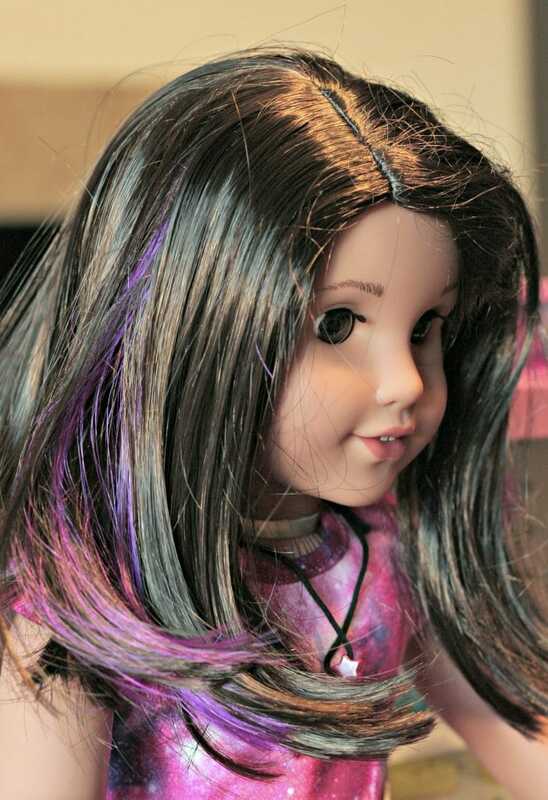 Disclosure: I am partnering with American Girl. All opinions are my own. 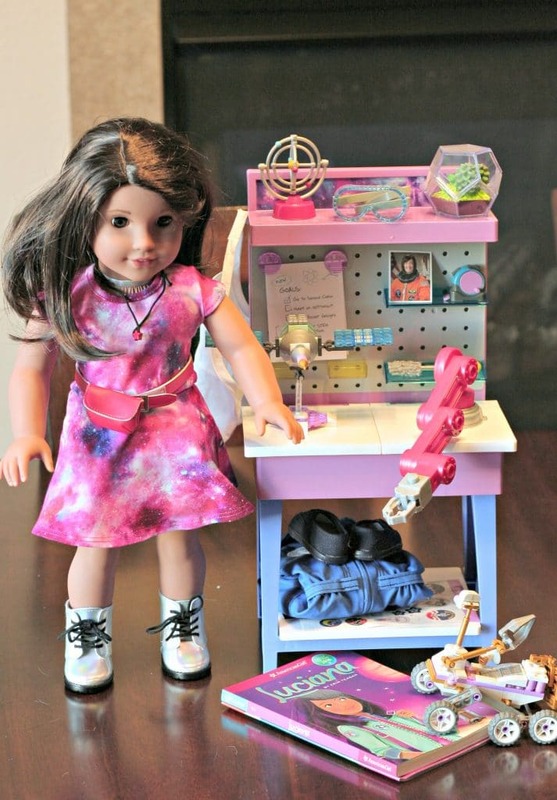 The science teacher in my was on cloud nine when the press release hit my inbox about Luciana the American Girl® of the year who just so happens to love all things STEM. Naturally I had to get one for our little girl, because STEM is life and I wanted to start sparking as much interest in science, technology, engineering and math as I can now. 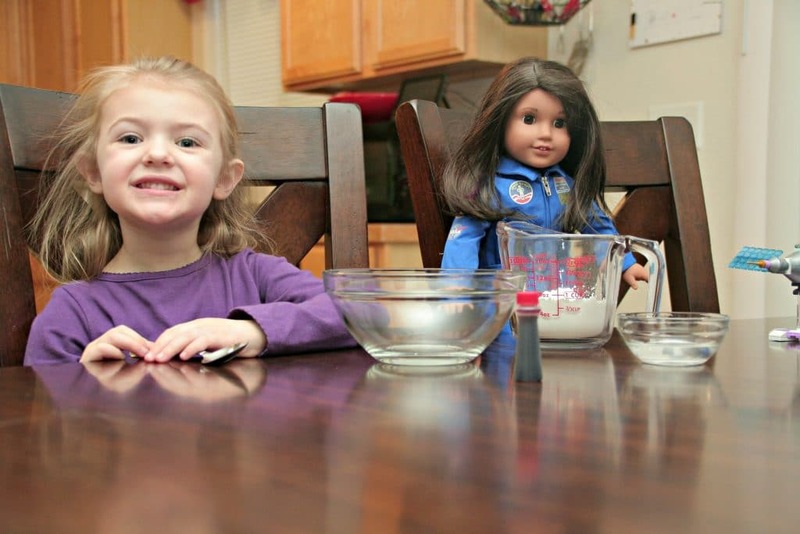 I had to share our thoughts on Luciana Vega and 3 awesome STEM Activities that you can do at home and with your little girls or boys too! 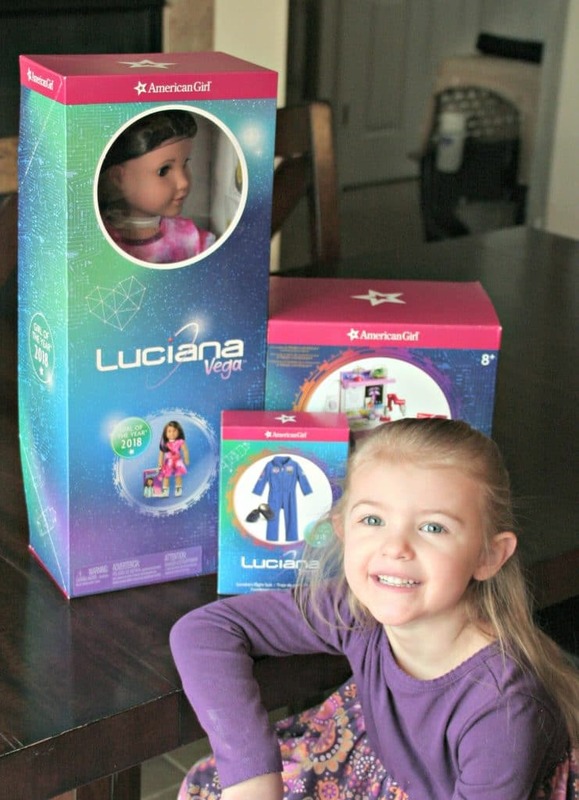 Luciana arrived and her box was out of this world! My little girl was so ready to open her, but unfortunately we had to wait because this mama was out of town and I REALLY wanted to be there with her and play with the doll and read the book with her. We ordered Luciana Vega, the Maker Station and the Flight Suit. There were honestly so many amazing accessories for her that it was hard to choose between them. Finally, the day arrived and we opened the boxes and looked at all the amazing aspects of Luciana and her accessories. Our daughter loved the purple streak in her hair and loudly proclaimed that if she was going to science she needed purple hair. This mama declined that proclamation, but I am also a fan of the streak in Luciana’s hair. Super cute! Her dress is a galactic array of constellations and she has super cute silver shiny shoes, a choker, fanny pack and a star necklace. Side note: My daughter figured out that the necklace can actually be adjusted and she can get it on her. That made her whole day! I was most excited for the amazing Maker Station. It is basically my desk at work, minus just a few little touches. 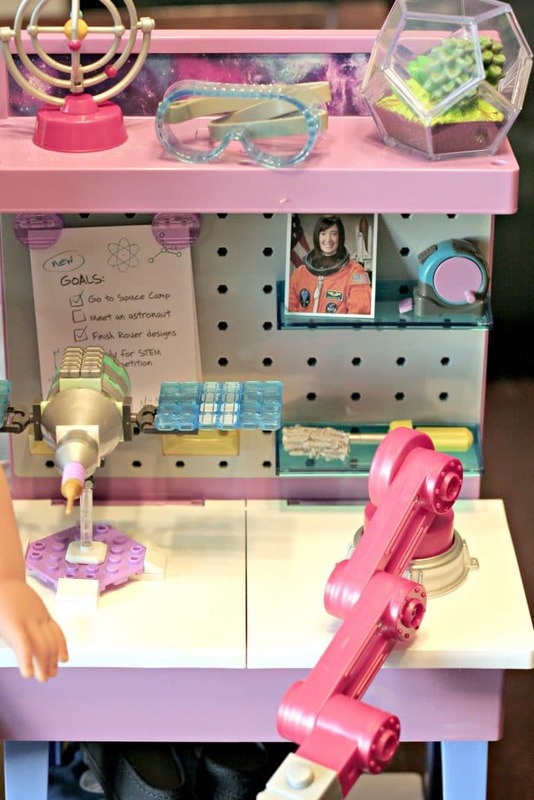 However, American Girl® got it right with this awesome interactive set up. It comes with a lab apron and goggles, various tools to help engineer the future, inspirational posters and some fantastic MEGA CONSTRUX™ to start the engineering now! 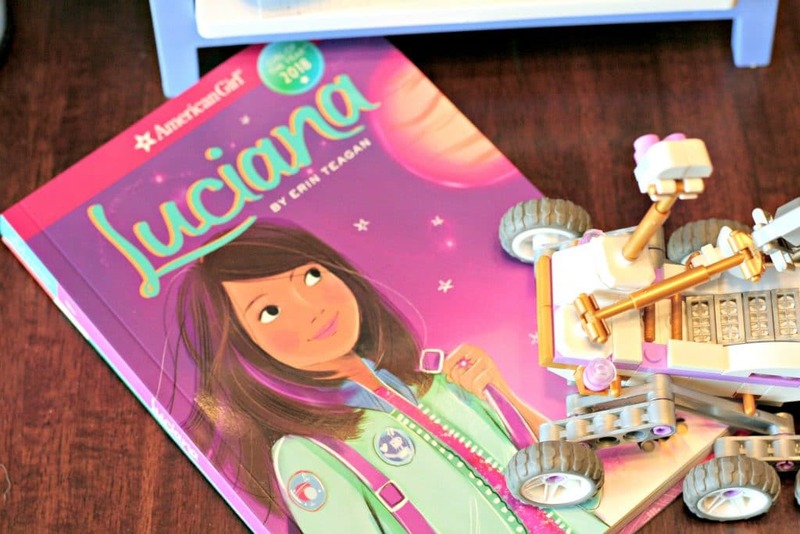 I had a few ideas that I wanted to do with our daughter to really get her excited about Luciana, STEM and reading Luciana’s book together. First, we started with the MEGA CONSTRUX™ build. The goal was to build both a satellite and a rover and although I was a bit nervous that our girl would get distracted too easily, she completely participated, and helped build both of them! Once we finished our builds, we decided to read a quick chapter in Luciana’s book. We are taking it slow and doing this about a chapter every week because she is only 4 and doesn’t always sit well for the story. We made it about 4 pages in before she was ready to try something else, but so far the book is awesome and we are really enjoying our mommy and me science book time. In the meantime, I decided to introduce her to OOBLECK! This is my favorite non-Newtonian substance and it is super entertaining to play with and easy to make. It is made with food products and is non-toxic, and as long as you keep adding water, it lasts for a good chunk of time! The ingredients are simple. 2 parts cornstarch to 1 part water and a few drops of food coloring if you want. 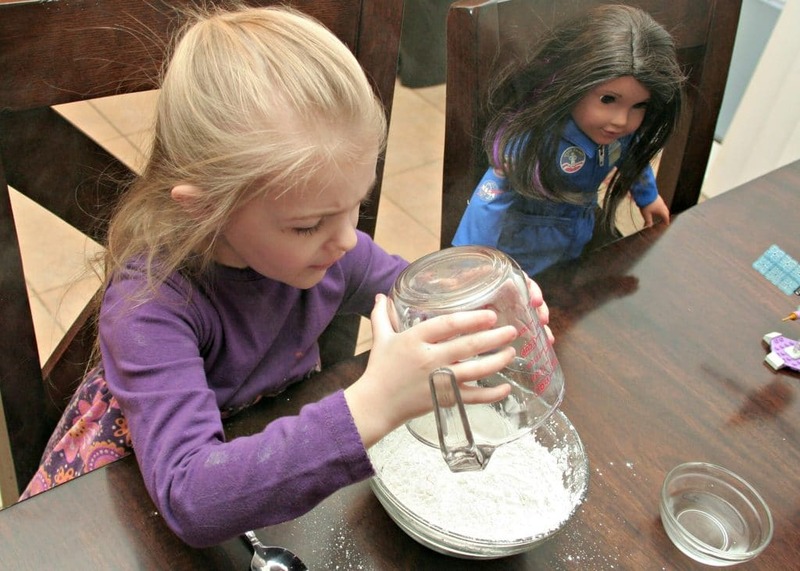 I let our little girl do all the mixing herself and she really enjoyed it. It was a tad bit messy, but she was all about getting her hands in the mix and really creating the solution by herself. It was a proud mama moment for sure as she focused so well and was so excited to see the substance take form. 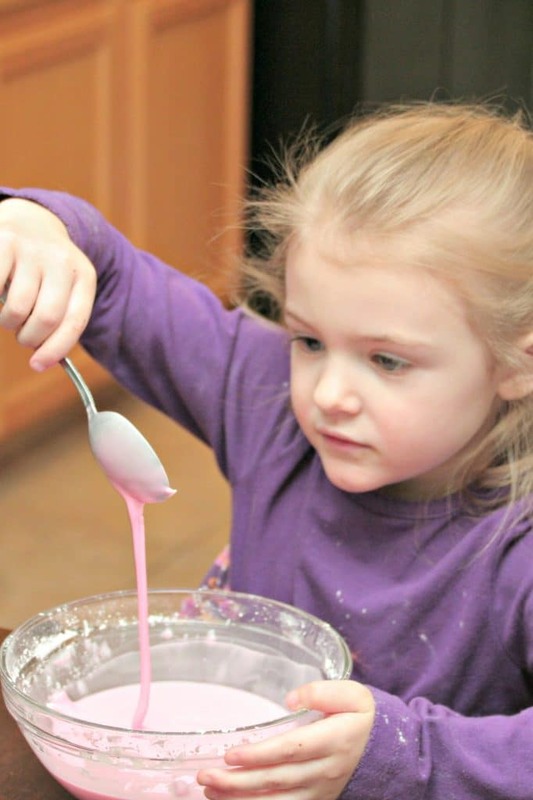 Non-Newtonian fluids do not follow Newton’s law of viscosity. This basically means that the substance can act both as a liquid and as a solid if mixed just right. The key here is that you want to make sure that the solution is fluid enough to pick up with a spoon and allow it to flow off like you see in the photo below, but solid enough that when you tap it with the spoon, it reverberates like a solid with minimal indentation. It’s been several days and we are STILL playing with the oobleck. Definitely, a favorite, but I couldn’t stop there! I wanted to teach her how to make one last little STEM project and this was going to be high flying! Yup, the straw airplane was something I just had to show here. Forget paper airplanes, the straw is where it is at and it is so easy to make. 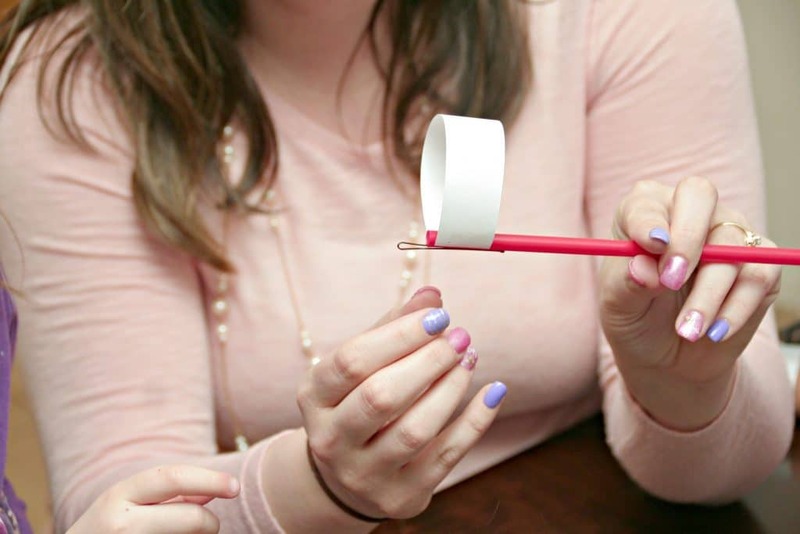 Grab a plastic straw, a hair pin or paper clip, some strips of paper and tape and you are ready to create this awesome and super entertaining straw airplane. 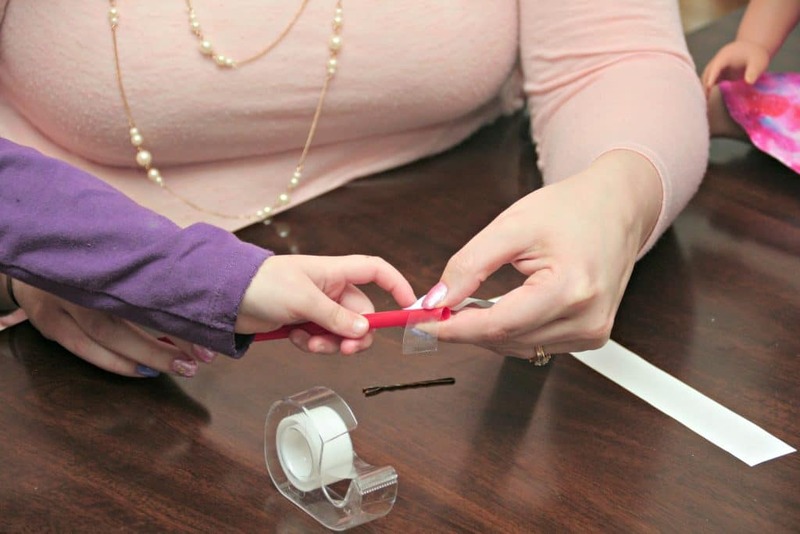 Start by taping the paper strips in rings to, and around, the straw. You can do more than 2, but I have found that I have the best success with one ring at each end of the straw and I also try to make one ring slightly smaller than the other. Next, add the hair pin on the straw end with the smaller ring. Then grab the middle and throw! You can see how awesome these fly. My husband was super into this one with us and definitely tried to make one that could fly farther and higher than ours. He lost. It was all in good fun and honestly just a great afternoon spent with each other, learning, laughing and creating. 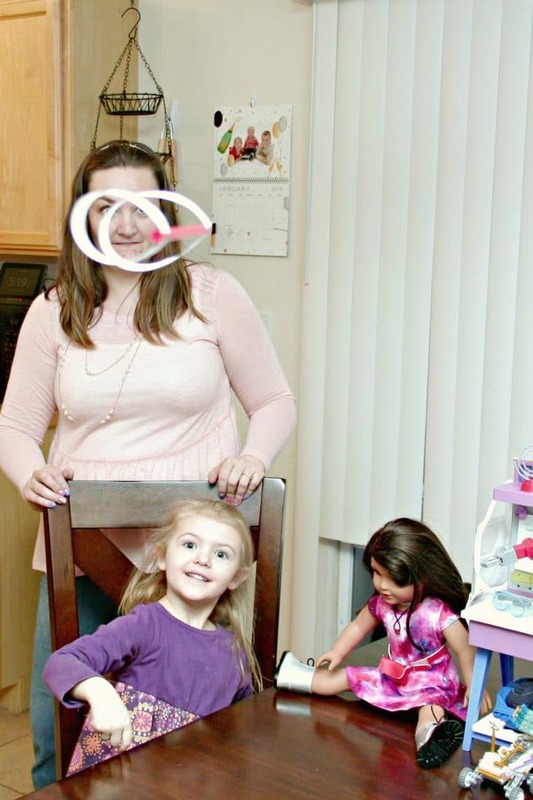 Our family is so happy that Luciana Vega was chosen as the 2018 Girl of the Year by American Girl® and we want to share our excitement of her release with one of our lucky readers! Enter the rafflecopter below for a chance to win your very own Luciana Vega! 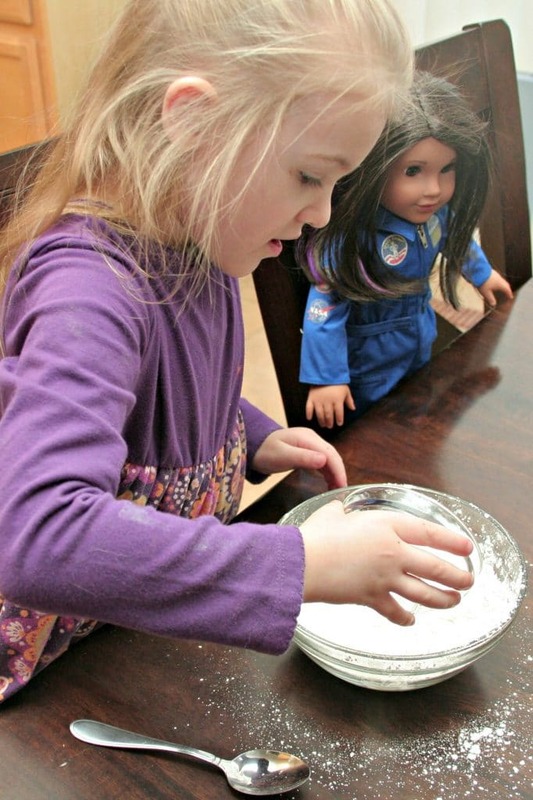 My daughter loves that Lucianna is into space and STEM! She also thinks her space suit is pretty awesome. I like the NASA jumpsuit! 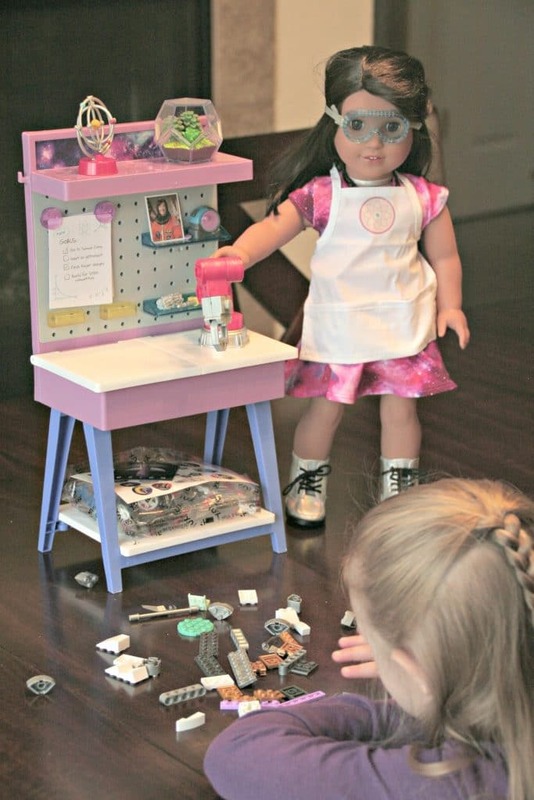 My daughter is into anything American girl and anything STEM! This would make her whole year if she got one!! !